We have obviously broached the subject of boxes before on this blog, going hand in hand as they do with storage facilities, and we have talked about the ways of packing them and where you might be able to find them for free. Boxes can be a rather surprising extra cost that needs to be factored in for storage or moving, as whatever their material they certainly have a price on them to be purchased new, although if you are careful with not overloading even your common cardboard box can last for a few jobs before requiring replacement. 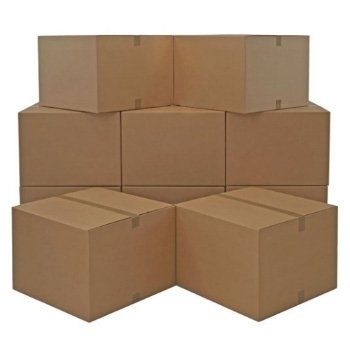 Cardboard boxes can be found second hand in pretty much any retail environment, the question is finding boxes that are large, uniformly sized and durable if you are going to be able to stack them efficiently in your self storage unit. Trying to get hold of these for free can involve a lot of time spent searching and bargaining, whilst getting hold of new cardboard boxes is as simple as popping into a hardware store, ordering online or just asking your local self storage provider. Whilst it is tempting to go out and find the biggest cardboard boxes you can on your budget, it is worth bearing in mind that if you then go and fill them with heavy objects, they are not going to be able to support the weight when being carried, and will probably be very hazardous to carry and stack in any case. It may be worth investing in two sizes of box for your unit, a big size that can be filled with lighter bric-a-brac, and a smaller variant for items made of denser materials. An alternative to cardboard are plastic boxes or storage crates. These are more expensive than cardboard, but can offer extra benefits if you are looking for a very long term solution to storage. As it is a tougher material, plastic is less likely to deteriorate by tearing or getting damp, although that’s not to say it isn’t impossible to crack a box if manhandled. Also for items that benefit from a bit of breathing space such as clothes and fabrics, the airtight lids on some plastic containers will not be best suited for the task at hand. We have already looked into the best way for storing those in a separate article. So it’s not always as cut and dry as taking whatever boxes you can lay your hands on. Think about dimensions, the weight of the items, the size of unit you have to fill, and the sort of things you want to store before acquiring the boxes for your storage unit.